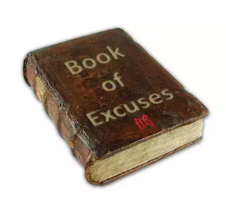 IF YOU FIND AN EXCUSE DO YOU PICK IT UP? The world is full of great inventors when it comes to excuses. The only people that are expert in making excuses are failures. Those who are weak enough always have enough available excuses. You can fall down many times, but you won't be a failure until you say that someone pushed you. if not for this person I'd have become this, if not for that I'd have being this. Never mind whom you praise, but be careful whom you blame. 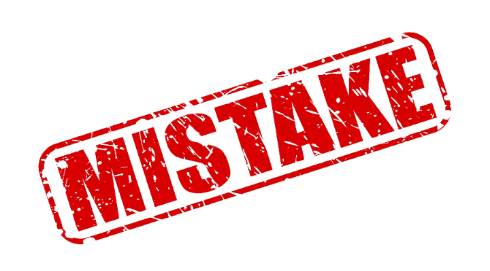 Mistakes have hidden power to help us, but when we channel blame to other people, they fail in their mission of helping us. I could vividly remember back then in secondary school, I was reading very hard to be the best in my class. My physics teacher asked who can solve a problem he wrote on the board. I knew the answer but I refused to come out because I was scared of making mistakes. To cut the long story short, I solved the problem and eventually made the mistake by not writing the unit of the answer. But he corrected the mistake, and to my greatest surprise he awarded 5marks to me. Which helped a lot in my result. What if I had stayed back because of the fear of making mistakes? Which also could have been my excuse for not coming out to solve the problem. Avoid complaints and explanations. Admitting errors clears the score and proves you wiser than before. Some people enjoy fabricating alibis for why they didn't do a job. Forgetting that doing the job is more easier than fabricating excuses. 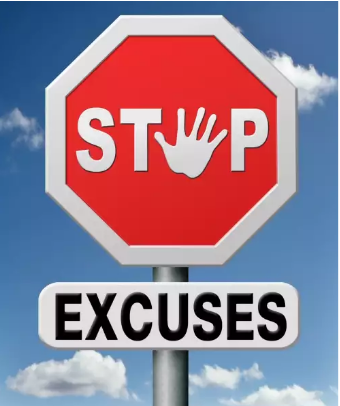 We waste creative energies and time when we start cooking up excuses. Work brings Profit; Talks brings Poverty. Those who are good in making excuses always finds it difficult to excel in life. Nice post and meaningful sir. Thanks for sharing it here.